With diet season just around the corner you’re unsure if you’re eating plan and training will result in cutting fat not muscle… or whether you’ll end up lean but with no mass whatsoever. When it comes to building muscle and shredding excess fat, you’ve always been told that there’s a bit of a trade off. That you can’t build muscle and lose fat at the same time. And that cutting fat not muscle is a pipe dream. 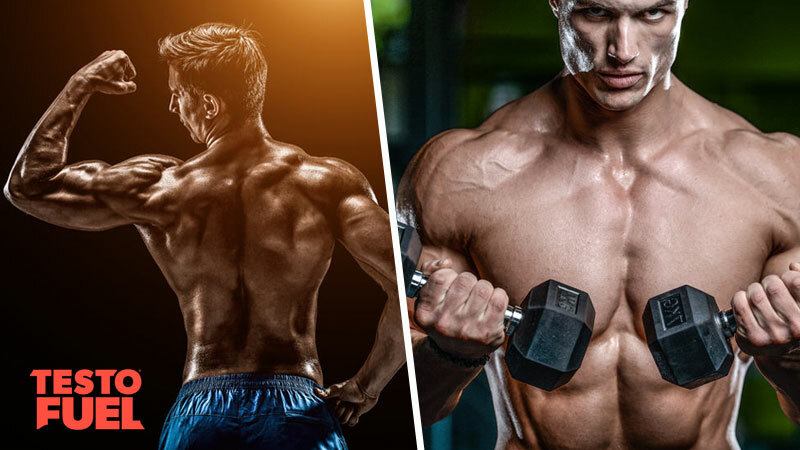 And in this detailed guide we tell you how to achieve what’s known as body recomposition – the process of obliterating excess fat without sacrificing that muscle mass you’ve worked hard to develop. Can you decrease fat mass but maintain lean tissue? The old school mentality to training was to cycle phases of bulk and shred. In other words, you’d increase calories and training volume to achieve as much muscle mass as you could during a ‘bulking’ phase. And then you’d reduce the intensity of your strength workouts and strip the food intake right back during your ‘cutting’ phase in order shred down the body fat and uncover the muscle that lied beneath it. The problem with this approach was that it was so easy to under or overshoot. You’d drop the calorie intake down, and as fast as body fat would decrease, so would muscle mass. At the end of your weight cut you’d end up looking lean, but with minimal muscle tissue – basically you’d look like you’d never lifted a weight in your life. And if you didn’t cut aggressively enough, your progress would be non-existent and you’d retain the excess fat covering that valuble mass. No six pack for you. You can argue many things when it comes to diet and exercise. Some people prefer a specific diet. Others swear by a particular training program. But one thing you can’t question is the roles of calories in fat loss. You can’t lose body fat if you’re not in an energy deficit. A calorie deficit happens when you consume fewer calories than your body needs for basic functions such as digestion, breathing, blood flow, movement and of course exercise. Swing the pendulum in favor of a deficit and the laws of thermodynamics dictates you’ll lose fat. When your body falls into a deficit it realizes it needs extra energy from somewhere. In a perfect world that somewhere would be from your triglyceride cells – the ones full of fatty goodness. Trigger these and the fat will melt from your physique. Get it wrong though and your body will turn to muscle tissue for fuel. Because as far as it’s concerned, energy is energy. It doesn’t care where it comes from. The process of cutting fat without losing muscle mass is called body recomposition. It’s the holy grail of fitness as it allows you to shred down to single digit body fat while keeping the muscle mass you’ve worked hard to cultivate. With the right diet and training plan you can target excess fat while simultaneously maintaining (and in some cases even significantly boost) lean muscle mass. Body recomposition is easier for some people than others though. If you’re already super-lean and don’t carry much muscle mass, you’ll find it difficult to cut fat not muscle. 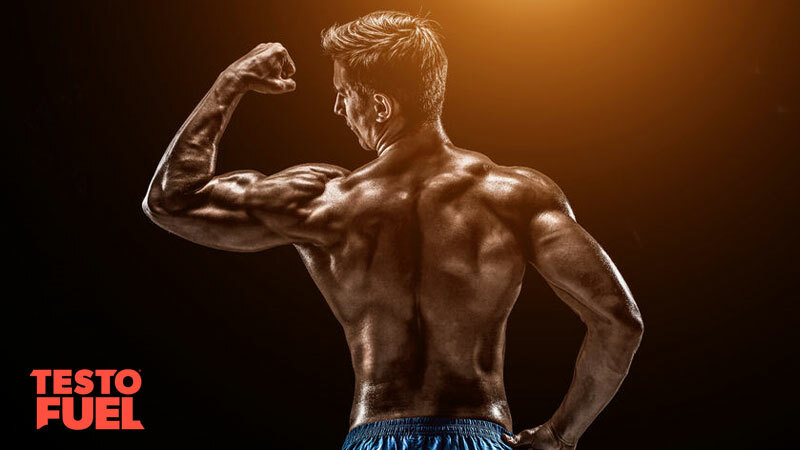 Likewise, if you’re well-trained and hit the gym on a regular basis, you’re probably already pushing the boundaries of tolerable limits for the muscle mass you carry. And that means your body will be all-too happy to use some of it for fuel during a weight cut. Now you know that cutting fat not muscle is completely possible, all that’s left to do is look at how. It might sound too good to be true, but with the right diet and training program you can transform your physique from muscular but fluffy, to lean and strong. A calorie deficit is essential for fat loss. But the road to cutting fat not muscle isn’t black and white. Calorie cycling is a method of energy balance control that involves alternating high and low calorie days over the course of your diet. It helps you with cutting fat not muscle as calorie intake is never aggressively or perpetually low. So how do you calorie cycle? On days when you’re in the gym you take your calorie intake up to maintenance. You’re not eating in a surplus, but you’re giving your body enough energy to lift heavy and productively without excessive fatigue. It helps to keep progressing and improving in the gym, which of course will lead to muscle maintenance and growth. It also boosts recovery, energy levels and mood. On days when you’re not in the gym you’ll shoot for a calorie deficit. How aggressive that deficit is, is up to you. But somewhere between 20-40% works well. This will trigger cutting fat not muscle. When you train hard in the gym, eat plenty of calories and take in sufficient protein through out the day, your body has enough fuel to push the balance in favor of protein synthesis – you build more muscle cells than you break down. But as calories drop you run the risk of degradation increasing and muscle cells being devoured by your body to be used as energy. Especially if your protein intake decreases too. One way to make sure you’re cutting fat not muscle is to maintain a high protein intake – around 1 gram per pound of body weight. By giving your muscle cells enough fuel, they’ll be able to fight off protein degradation, even in a calorie deficit. And if muscles are protected, the only other place it can get fuel from is fat. The best way to elevate muscle protein synthesis is to lift weights. The actual stimulus that strength training provides, increases the chemical signaling process that results in the creation of protein cells. To make sure you’re cutting fat not muscle and achieving body recomposition you need to lift. Plain and simple. If you don’t stimulate your muscle tissue your body will begin to break it down. Don’t expect to get much stronger during a cutting phase, and don’t think you’ll add huge slabs of muscle mass (remember, the highest your calories go will be maintenance). The main aim of strength training here is to put the brakes on muscle loss. You might be thinking about adding cardio into your body recomposition plan. After all, cardio is an effective way of increasing energy expenditure. What you need to bear in mind though is that cardio isn’t essential on a weight cut. You’re already hitting a deficit every other day, and that’ll take care of the fat loss. Cardio doesn’t stimulate muscle growth like strength training does, so there’s an argument that you’d be better off just lifting weights. But… if you enjoy cardio and you’ve got time and energy to fit it into your weekly exercise plan, go for it. Just make sure you do it on your non-strength training days so it doesn’t interfere with recovery. Testosterone is a natural anabolic hormone produced in the Leydig cells of your testes. It’s involved in everything that makes you a man – from regulation of muscle mass and strength, to sky-high libido, energy levels, and stamina. Prolonged and aggressive dieting can have a negative effect on testosterone levels, especially when following low-fat diets . Strength training goes a long way in helping you maintain testosterone levels. But the key here is to make sure you get sufficient nutrition from the low calories you’re allowing yourself. Nutrients such as D-aspartic acid and vitamin D3 have a primary role in elevating testosterone by stimulating greater release from your testes. So that means plenty of meats, seafood and eggs. And minerals such as zinc and magnesium support testosterone production while regulating energy production. They also help cutting fat not muscle by providing important building blocks for optimal functioning. It can be difficult to get all of the nutrition you need from food on a cut, and a reliable, effective strategy is to supplement a premium testosterone booster such as TestoFuel. That way you know that your anabolic hormones are supported, and your journey to body recomposition will be faster, and with better results. Cutting fat not muscle can be tough, especially when you’re not sure how. With these hints and tips, and some good old-fashioned motivation, you’ll be cruising to single digit body fat while retaining your muscle mass in no time.